Homocysteine. Consider it the “new cholesterol”—and the real cause of heart disease, stroke, and peripheral artery disease. If the term strikes you as being strange, don’t worry. It will soon be a household word, just like cholesterol. Why homocysteine? And what’s happening with the idea that cholesterol causes cardiovascular diseases? 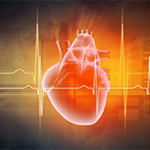 Lowering homocysteine levels may be the key to lowering the risk of many cardiovascular diseases—and the treatment may be as easy as supplementing with B-complex vitamins. Ever since researchers began to see cholesterol as a cause of coronary heart disease, they’ve been plagued with disturbing inconsistencies. For example, while cholesterol is found in the fatty deposits that clog arteries, 80 percent of heart attacks occur in men with normal cholesterol levels. Furthermore, cholesterol is essential for health, and the body makes most of the cholesterol found in the blood. It functions as an antioxidant and serves as a building block for steroid hormones. It’s even needed to transport vitamin E, coenzyme Q10, and other fat-soluble nutrients through the blood. To resolve these and other problems, researchers have emphasized so-called good and bad forms of cholesterol, healthy and unhealthy ratios between the different forms of cholesterol, and, most recently, oxidized and nonoxidized cholesterol. In fact, cholesterol has gotten so confusing that many doctors now discount it as a cause of cardiovascular disease. Instead, they’re shifting their attention to homocysteine as a principal cause of cardiovascular diseases. By some estimates, 40 percent of heart attacks and strokes in the United States may be the result of elevated levels of homocysteine in the blood. Like cholesterol, the body makes homocysteine. It serves a necessary function in the body, after which it’s normally broken down. When left intact, it enters the bloodstream and begins attacking blood vessel walls, laying the foundation for coronary heart disease, stroke, and other cardiovascular diseases. Protein, and particularly the essential amino acid methionine (found in meat), is the indirect source of homocysteine. When the body digests and metabolizes methionine, it produces homocysteine before either recycling it back to methionine or creating the final breakdown product, cystathionine. There are many circumstances in which homocysteine becomes a long-lived, potentially deadly byproduct of protein metabolism. For example, an inadequate supply of key B vitamins “freezes” homocysteine metabolism before converted to cystathionine. When this happens, abnormally high levels of homocysteine build up in the bloodstream and damage blood vessels. When the blood vessels feeding the heart are damaged, coronary artery disease develops. When the blood vessels that nourish the brain are affected, stroke is the likely outcome. If the blood vessels of the hands or legs are affected, peripheral artery disease is the likely consequence. In an inverse relationship, the increase of one event causes another event to decrease—like the motion of a seesaw. For example, with homocysteine and the B vitamins, increasing intake of B vitamins lowers homocysteine levels. The reverse is also true: homocysteine levels increase when B vitamin intake is low. Nutritional surveys confirm that deficiencies of the B vitamins are prevalent in the United States. In addition, research shows that if one B vitamin is missing from the diet, chances are good that most, if not all, of the others will also be in short supply. These widespread B-vitamin deficiencies result in dangerously high homocysteine levels. However, since the majority of doctors do not assess homocysteine levels in their patients, the best offense to prevent cardiovascular diseases appears to be a good defense—supplementing with B vitamins. Folic Acid protects the body from unusually high homocysteine levels by assisting another enzyme in converting homocysteine back to the amino acid methionine. If the body does not have adequate amounts of folic acid, homocysteine begins to accumulate. As levels of homocysteine rise, blood vessels are injured, arteriosclerosis accelerates, and the risk of heart attack and stroke escalates. In a recent study, 818 men and women aged 50 to 70 with elevated homocysteine levels took 800 micrograms of folic acid or a placebo every day for three years. At the end of the study, people taking folic acid supplements experienced a 26 percent decrease (on average) in homocysteine levels. Folic acid requirements increase in several situations, such as during pregnancy and lactation, during illness, and with the use of some drugs (including oral contraceptives, several cancer treatments, and alcohol). In addition, smokers have lower folic acid levels than nonsmokers and may require a higher intake to maintain normal status of this important B vitamin. Vitamin B6 is involved in the metabolism of proteins and carbohydrates. Low levels allow homocysteine to increase and initiate the atherosclerotic process. Unfortunately, low levels of vitamin B6 appear to be the rule rather than the exception. Symptoms of vitamin B6 deficiency are vague, but include weakness, mental confusion, anemia, and insomnia. Oral contraceptives increase vitamin B6 requirements. Good food sources of this essential vitamin include beans, nuts, bananas, cabbage, cauliflower, potatoes, and whole-grain cereals and breads. Foods made with white flour are poor sources of this vitamin because “enrichment” does not replace the vitamin B6 lost in the refinement process. Vitamin B12 is also essential during the metabolism of protein, fat, and carbohydrates. As with folic acid and vitamin B6, vitamin B12 must be present to rid the body of harmful amounts of homocysteine. The deficiency disease most associated with vitamin B12 is pernicious anemia. Other symptoms of vitamin B12 deficiency include disorientation, numbness, confusion, agitation, dizziness, hallucinations, impaired immunity, nausea, and vomiting. Vitamin B12 is only found in foods of animal origin, such as meat, fish, and dairy products. Deficiencies are more common during mid- to late life and in strict vegetarians (who exclude all animal products). As many as 15 percent of the elderly may have vitamin B12 deficiencies. Choline is another essential B vitamin. It’s a building block for phospholipids, fats needed in cell membranes. Choline also contributes to the production of the neurotransmitter acetylcholine, which is important in brain function and memory. Choline was discovered early on to reduce homocysteine levels and the risk of cardiovascular diseases. To produce choline, the body must have adequate amounts of folic acid. Often, deficiencies of folic acid and choline go hand in hand. Good food sources of choline include eggs, organ meats, lean meat, brewer’s yeast, wheat germ, soybeans, and peanuts. Betaine is another beneficial substance found in some foods, supplements, and is produced by the body. Like the B vitamins, large supplemental doses of betaine limit the unhealthy buildup of homocysteine. While betaine is not usually the first choice in treating elevated homocysteine levels, it often plays an important role in difficult-to-treat cases. Several studies have reported that betaine supplements successfully lower homocysteine in cases in which vitamin B6 and folic acid failed. Folic acid, vitamin B6, vitamin B12, choline, and betaine have all been shown to reduce homocysteine levels. Yet it would be difficult to get enough of these important nutrients from food sources alone. For example, one would have to eat 10 cups of broccoli or 11 bananas every day to consume the level of folic acid or vitamin B6 necessary to reduce elevated homocysteine levels. Supplements are an easy and convenient option for anyone concerned with preventing or treating cardiovascular diseases. A high-potency daily multivitamin/mineral formula will provide the basic amounts of the B vitamins needed to prevent homocysteine levels from rising. Separate supplements of folic acid, vitamin B6, and vitamin B12 may be required to lower very high or resistant homocysteine levels. However, supplement with all three to prevent possible imbalances from high doses of just one B vitamin. Although many of the causes and steps in the progression of cardiovascular diseases remain unclear to scientists, one thing is clear—B vitamins lower homocysteine levels, which in turn can save tens of thousands of lives—maybe even yours. Talk to your healthcare provider today about the simple tests to determine your levels of B vitamins and homocysteine.